The 2019 Volkswagen Jetta has been redesigned inside and out, and drivers from Chicago to Naperville have been quick to take notice. This year’s Jetta is available in a wide variety of exterior and interior colors, ensuring there’s a combination to fit the tastes of nearly any Chicagoland driver. Take a closer look at the VW Jetta colors to find a model that’s just as playful or as elegant as you desire. 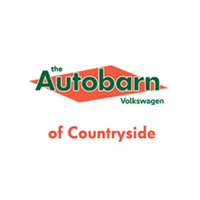 Find the VW Jetta You’ve Been Searching for at The Autobarn Volkswagen of Countryside! Drivers near LaGrange can give their VW Jetta even more personality by equipping genuine Volkswagen accessories at our parts center! Start exploring our new Jetta inventory today to find a model in the right color, and then reach out to The Autobarn Volkswagen of Countryside to schedule your test drive! Which Volkswagen Models are Hatchbacks?